Sep 05 2003 The SLB Series Subminiature load cells Series Subminiature load cells (Load Buttons) are offered for compression only applications in ranges: 25, 50, 100,250, 500, 750 and 1000 lbs. F.S. . The matching surface must be flat for ultimate accuracy. The loading diameter is slightly convex for accurate load distribution. 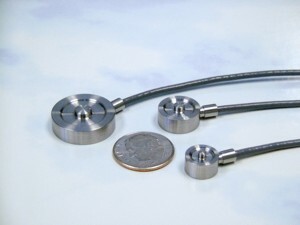 These sensors are manufactured from heat treated 17-4ph stainless steel, and the sensing element incorporates bonded foil strain gages to produce a full scale output of 2 mV/V. Accuracies are Nonlinearity 0.25%, Hysteresis 0.25% and Nonrepeatability 0.1% or better. They are sealed for protection against most industrial environments and are supplied with a Certificate of Calibration traceable to N.I.S.T.